Grid. 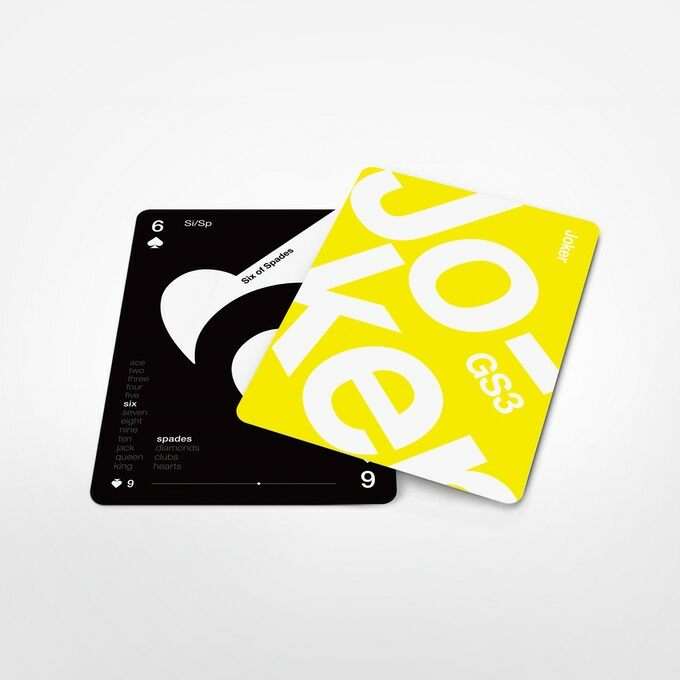 Series Three playing cards, is the third and final deck in the Grid. series, designed by London-based graphic designer Luke Wadey. This seems to be a disappointment to Luke’s legion of followers, because many of them are already coming up with ideas for a 4th deck. Sorry guys… not happening. This deck is currently being funded on Kickstarter and if you know a good thing when you see it, you’ll be heading over to make a pledge before the campaign ends on 4th March 2019. After the huge success of the previous two Grid. decks (Grid. Series One, and Grid. Series Two, obvs) Luke has clearly left his fans wanting more, because at the time of writing this article, and with still another 6 days left in the campaign, Grid. Series Three has attracted 577 backers who have collectively pledged a total of £16,954 (GBP). In fact, the deck was fully funded less than 18 hours after launch. Grid. Series Three. Standard Edition. 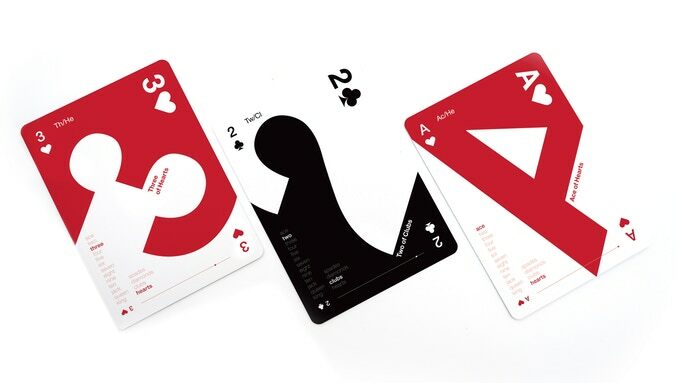 With a one-off print-run of 2000, this deck will be printed by USPCC on their world-renowned classic stock with air-cushioned finish, making these cards perfect for not only us poker enthusiasts, but also cardists and magicians. 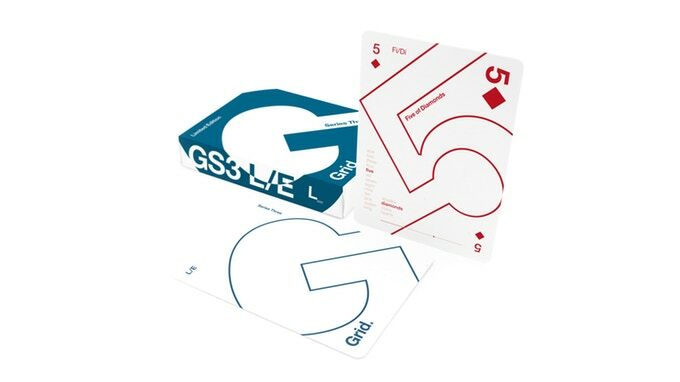 As with the previous decks in the series, GS3 showcase the typographic Swiss design style, which was concieved in Germany, the Netherlands, and Russia in the 1920’s, but was developed in 1950’s Switzerland. 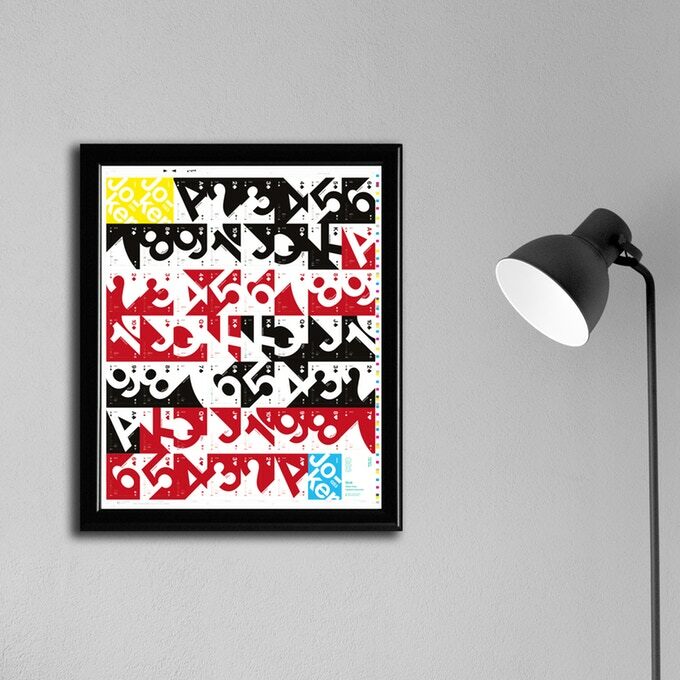 The bold lines and curves of the text gives it a timeless and familiar feel. 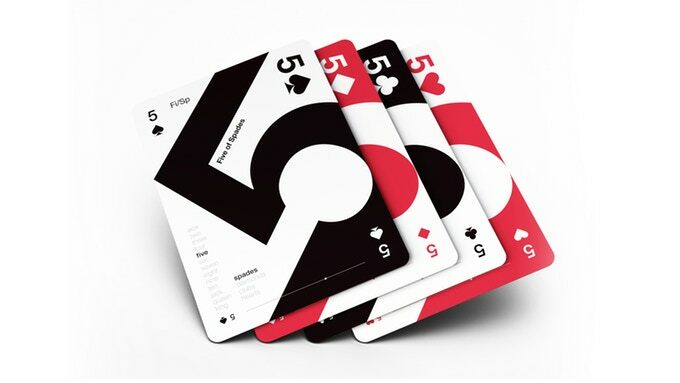 However, for this deck, the creator has taken this simplicity, and edged it up with his use of negative space and colour combinations, as well as asymmetric alignment. It makes a refreshing change from the traditional illustrated deck designs we are all used to. Along with the standard edition deck, a few added extras have become available as the funding has grown. The amazing uncut sheet was released as an add-on to those who want something more from their artwork. This is when the full deck is printed and taken off the press but not sent to be cut and made into a deck of cards. So no, it’s not just a poster or a ‘print’, it’s actual card stock, it just hasn’t been cut. 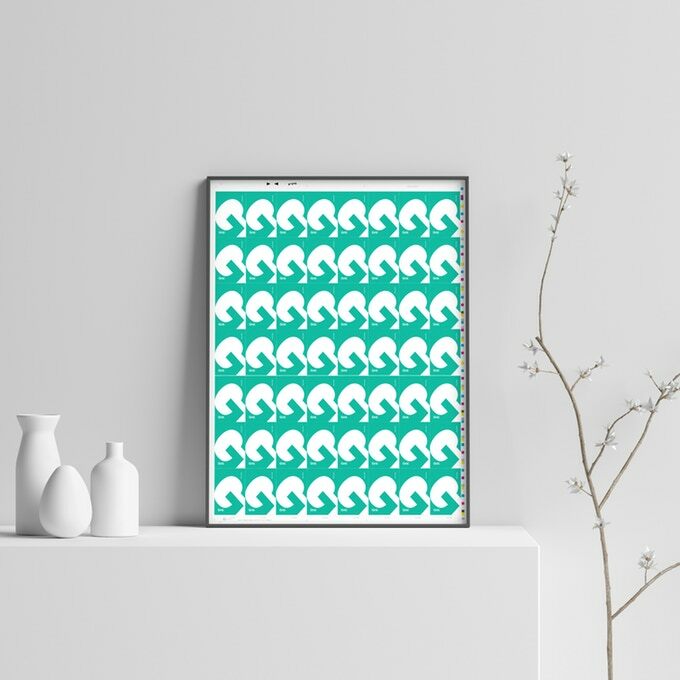 Limited to just 20 pieces, this would be an amazing addition to any wall. I’ve mine booked and I can’t wait to get it. Imagine having one of only 20. In the WORLD. Now THAT’S a limited edition!! GS3 Uncut Sheet – front – stunning! Another unlocked add-on is the Limited Edition GS3 deck. Limited as in only 35 will ever be printed. The basic design stays the same, but with the outlines highlighted and no use of block colour, this is truly a unique deck. 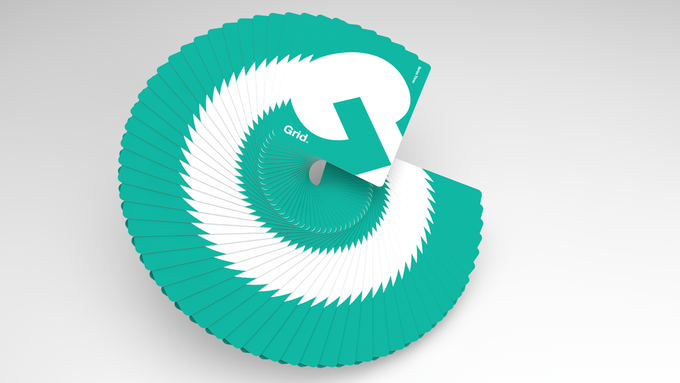 Likewise, the GS3 Mono Deck, which has also been unlocked, crosses the lines and curves of the Grid. decks with the edgy, grungy feel of the Mono – X deck which was Luke’s last Kickstarter success. These too are limited to a print run of just 200. Printed this time by Cartamundi on their highly acclaimed True Linen B9 Finish, this deck is a cardist’s dream. Oh, and a collector’s must-have. T-shirts are also available as an add-on. Printed by RudViolet right here in the UK, these t-shirts are made from 100% cotton in both mens sizes and ladies slim-fit. 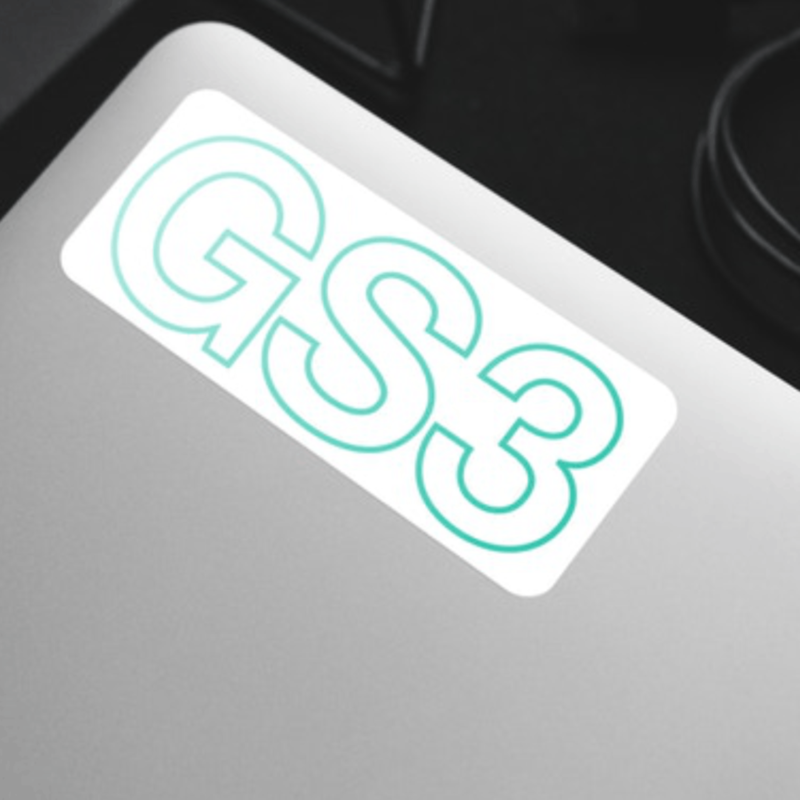 Available in black, yellow, and white, wear yours to show your love of GS3. Together with stickers, posters, postcards, and phone backgrounds, this campaign offers something for everyone. Luke has really pulled out all the stops on this one, and that’s reflected in the huge backing he’s received for this deck. It wouldn’t be fair to Luke to attribute the success of the deck to the the deck alone, although it is a fantastic looking specimen. In his previous campaigns Luke has shown himself to be the sort of creator who not only appreciates each and every backer, but he also listens to and responds to them on an individual basis. Every message is answered, every query settled, every request met. This, I find, is key to a successful campaign. With regular posts and updates on his Instagram account, backers are offered a sense of community, each and every person there sharing a common bond – a love of fantastic playing cards. If you’re interested in adding a few of these decks to your collection, or even if you fancy a snazzy work of art on your wall, and a cool t-shirt on your back, then head on over to the Kickstarter page and make your pledge. Be a part of the success of Grid. Series Three. Follow iCollectPlayingCards on Instagram and Facebook and please feel free to share this post on your own social media accounts. This entry was posted in Deck Reviews, Kickstarter Campaigns and tagged Kickstarter, playing cards on 17 February, 2019 by Jyl. 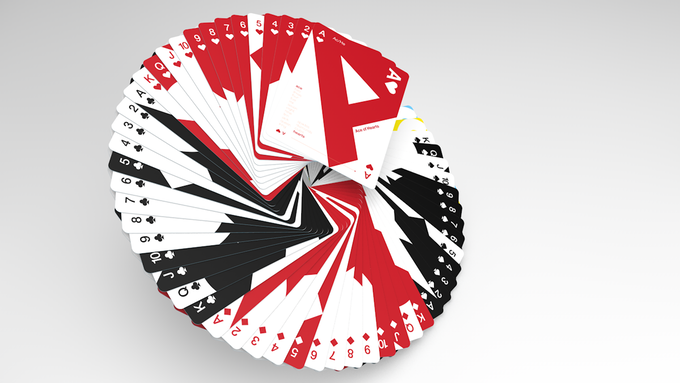 ← Double Cards – Playing Cards that guarantee a whole new level of fun. I am some impressed by this!! This card set seem so cool!! I love to play poker but I never imagine there was a whole industry that makes them seem this beautiful!! I think is super cool that you share this information I am sure there are plenty of happy magicians using this cool cards to make their tricks!! I have been considering buying some just to put them as art in my place!!! You should definitely get some playing card art – the uncut sheet of the Grid. Series Three deck looks amazing and I can’t wait to get mine :) The cards will also be fun to play with, you should grab yourself a deck or two :) Thanks for your comment. I’ve always been drawn to art and colorful art mediums, in fact, my walls are covered with canvases that I paint using different ideas, but i’ve never seen cards used as a medium before, and I may have something new to try. These also would be good for just throwing down in Spades, lol. I’ll have to check out your kickstarter page. Hope this gets up and running soon. When I came across this article, I was drawn in right away. 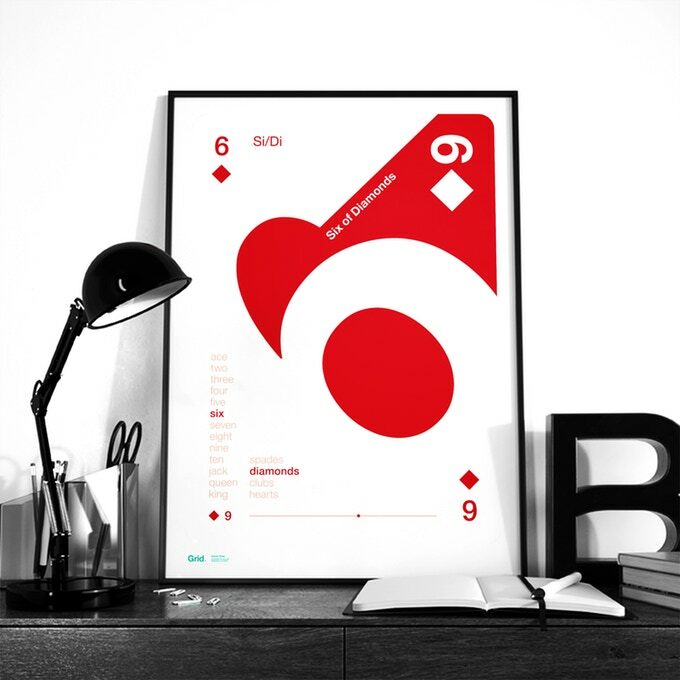 I have never seen a deck of cards as art/design but this is really nice work. In particular, I like the 8 different ways each card is identified. Nice …. Since I haven’t used them, of course, I wouldn’t know how it would be to play with them. The regular ones I know the value of each card because I see the whole design card as one, but I guess this will be the same with these after a while. 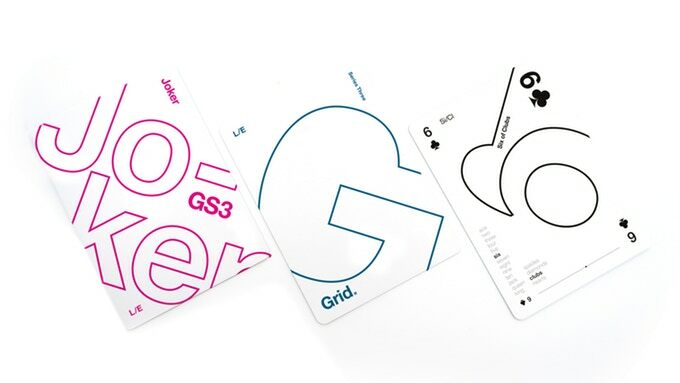 The grid series typographic card looks awesome. I play cards a lot, though not until recently and this type looks so much different and the artistic work are topnotch. I have few friends who are addicted to playing cards, they’re surely going to love this. Those T-shirts ain’t bad at all. You should give your friend the Kickstarter link (https://kck.st/2NaaVFy) and get them to pledge for a deck or two – these are very special cards and will never be printed again… the t-shirts are special too, and would look great at a poker night…. just sayin’…..
You opened an entire new world to me! 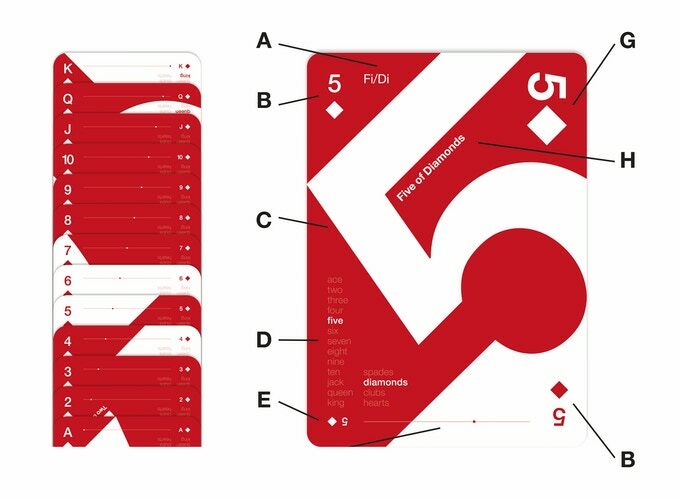 So much amazing info about the grid series typographic cards that I will definitely pass it around to the right people as well, who will appreciate your excellent piece of work. By the way I loved the T-shirts, they are boss!! I used to collect playing cards when I was younger and I must say I’ve never come across cards such as these. I was taken aback by that design but in a good way. These cards have a modern look and feel to them and I’d love to grab a deck to restart my collection. Thanks for sharing an article covering such unique playing cards. This is a wonderfully concise review of the Grid. 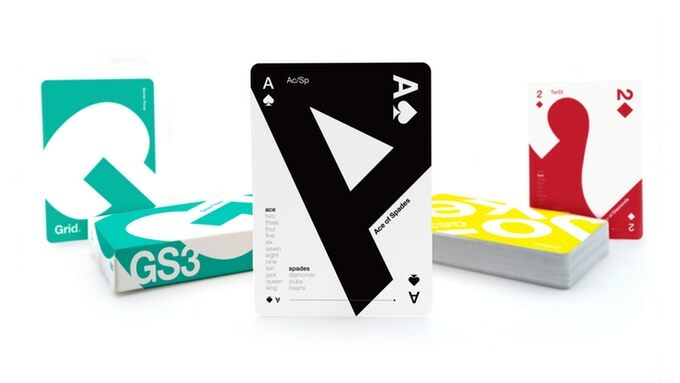 Series Three deck of playing cards. I like how you talk about the creator Luke Wadey as well as the cards, because then I can get a better understanding of the process behind the deck. Thank you and please keep sharing your beautiful reviews. Thank you for your comment. I love it when my readers get what I’m saying and agree with me. It means so much. Please check back for further posts. Oh! Another brilliant deck being funded on crowdfunding. “Grid Series Three”. The artwork is fantastic. So new and fresh. I love all the various photos you’ve used to showcase the deck. I really like this deck. I would love to buy the cards and t-shirts. Thank you so much for this post, I will click on the link now and pledge. Thank you for your comment. Yes, it’s definitely worth getting. And the artwork is new and fresh, I’ve never seen anything like the Grid. Series decks. Welcome aboard! These designs look fantastic! I had never heard of collecting playing cards before. I kind of have FOMO (Fear of Missing out) at the moment, the success of last two series means that it can be projected that this one will be another hit. Luke is on to another big surprise. No matter how little I can afford, I am going to make a pledge!I somehow missed the success of steemmonster on Steemit blockchain, it is a card game that really brought lost of attention to itself. 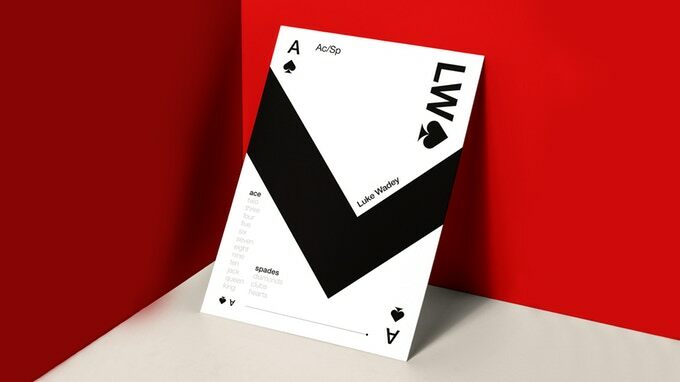 I’m not familiar with Luke Wadey and his previous works but his card designs are certainly interesting! The uncut card stock looks awesome as well. I’d like to have it on my wall if I could! I also want to add that I think your playing card niche is very unique. It really stands out amongst many of the other niches I’ve seen. Great job on this article. Wow! those cards look really cool. I did not know about Grid Series Three playing cards before reading your review. It is really nice to become familiar with those cool stuffs. It was really a nice review. I am loving the cards every time I look at those (in the picture). I have become a fan those after seeing the wall-mates build with those cards. Those are gonna make my bedroom more fancy. No longer waiting, I am going to buy those. Also, those Grid T-shirts worth a buy! Thank you so much Jyl for letting us know about such nice cards. I am fully amazed after seeing the cards! I am going to follow your page and follow in the social links that you have provided. This is an amazing write up, just simply breathtaking I must say. I have been involved in a few games of poker from many years back. But Before now I had not known about these type of cards, the grid series typographic cards to be precise they are just beautiful and I like the way they look and it makes me yearn to know how they would feel to the touch. They truly must be a favourite for magicians doing the card trick. Cheers.